We purchased Sedna in La Paz, Baja Sur, where she had been sitting in a marina for quite some time. Like all boats that head down to Mexico, she sat in the Baja sunshine-- which took a toll on the decks, sails, paint and canvas. 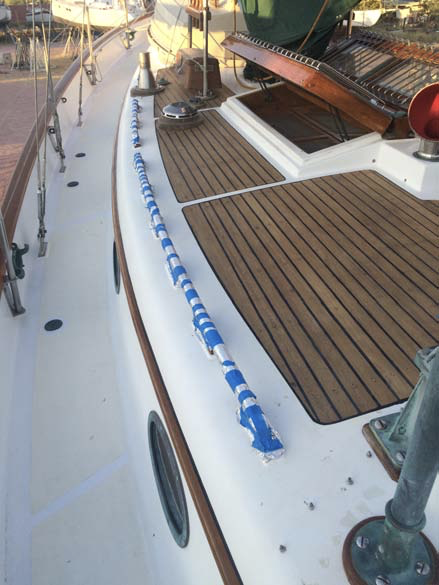 We spent several months in the spring of 2017 restoring the teak to former beauty, replacing some of the wood decking with a non-skid, replacing running lines, and much more. She was built in 1985, and originally commissioned by one man who purchased her, had her delivered to San Francisco and then sailed the Pacific triangle in the first several years of her life: Mexico, French Polynesia, Hawaii and then back to California. Since then, she's being moving her way up an down the coast with several different owners and four previous names: Meridian, Just Us Two, Toad's Hollow, and Bardan. In January 2017, we launched her out of a yard in La Paz with a new name, new registration, and a bottle of champagne to seal the deal. We're currently headed down to Guaymas to complete her 2017 refit, which we started this past spring. 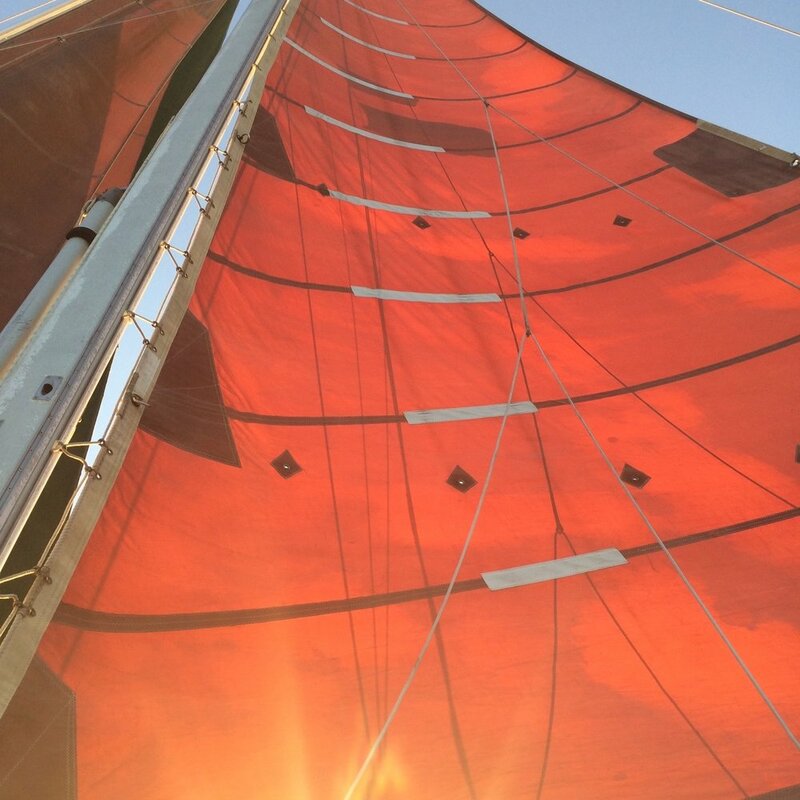 Fall work plans include and entirely new bottom, building from the fiberglass up-- healing some serious blister wounds, new green paint job, name and homeport, re-installing our Monitor Windvane (which we took off our Cal 34), a re-stitching for the head sail and much much more. Please check back for news on refit later this fall.